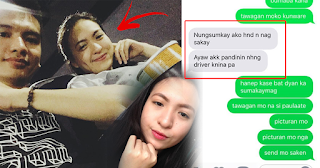 Young Lady Was Able To Text Her BF After Being Kidnapped In A UV Express! Our world today is now really improved and developed, we can easily reach out families fast. With this in mind, a lot of purposes will come into play and will help us, especially in emergency situations. We all know that crime is really widespread in today's community, there are a lot of news where people are being assaulted, mugged, robbed and worst getting kidnapped. That is why a lot of people today make sure of their safety first and were always alert to the things around them. 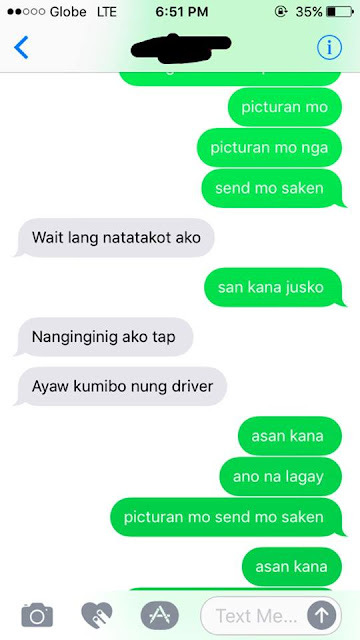 Just like what this man did to save his girlfriend's life. A story is now spreading like a virus and gone viral all over social media after a man who is concerned to his girlfriend shared their story in a Facebook post. We all understand that communication is truly a fast and effective nowadays and it really helps us, especially in crucial situations. 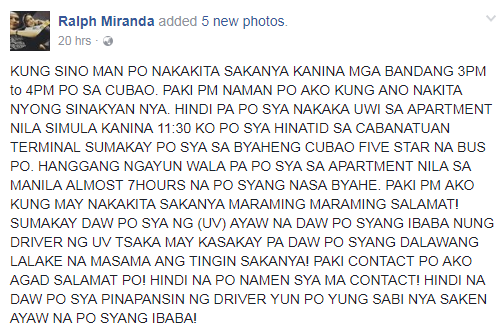 According to Miranda's post on Facebook, his partner was able to talk to him before she got lost and kidnapped inside a UV express. 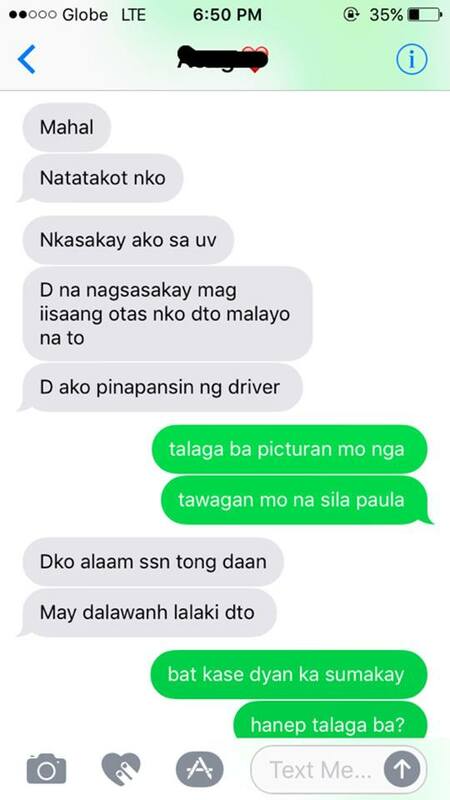 On his posts, he showed their conversations and apparently the girl was inside a UV and together with two questionable suspicious looking men. 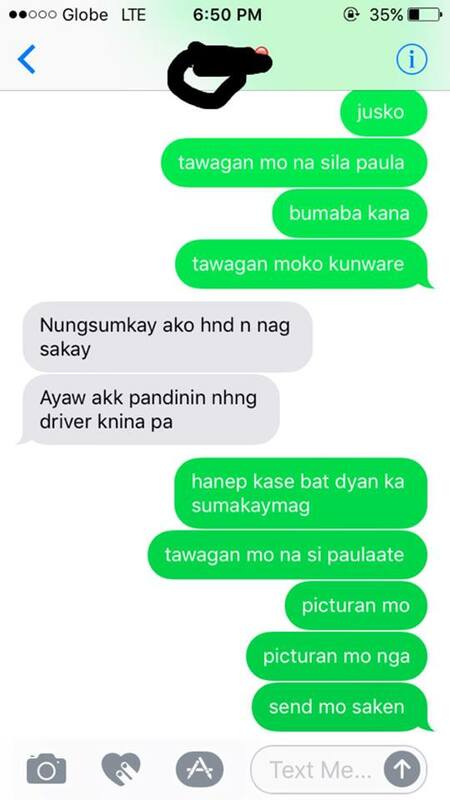 He wasn't able to reach her ever since that is why he asked with netizens if he could ask some help to find her and inform it to the authorities. 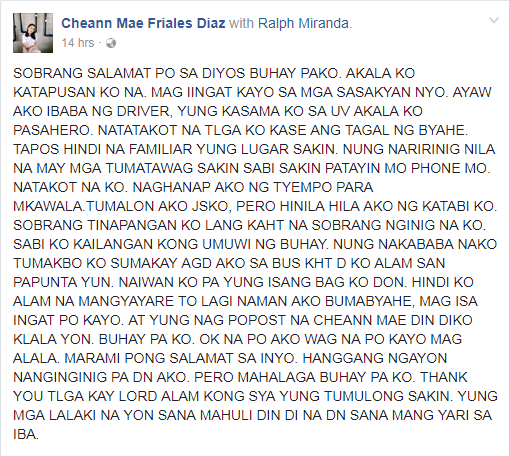 The report has gone viral and several netizens were all concerned about the girl and were supporting Ralph to find her immediately. 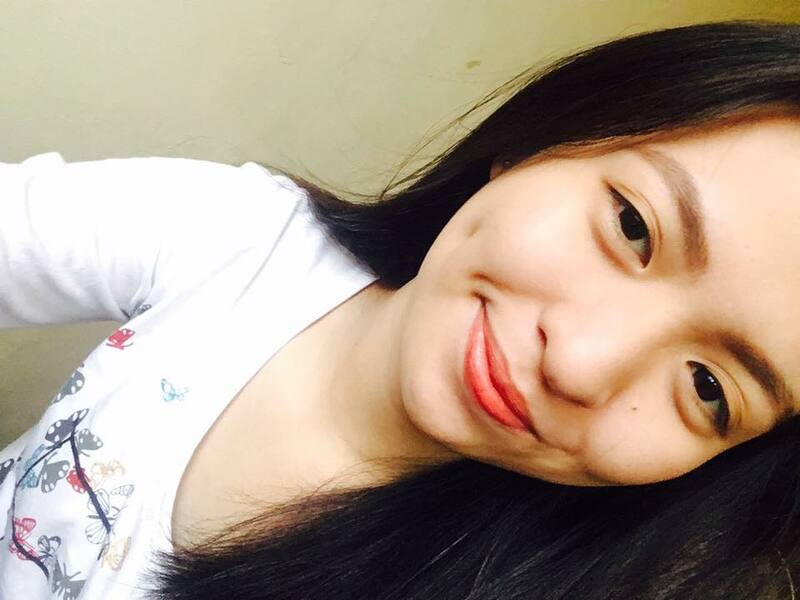 Now the girl has been found through the help of netizens, their relatives, and friends. Now, they are investigating and searching for the 2 men involved in the kidnapping incident.